Short hair and narrow ties were among fashion trends of the 1950s. 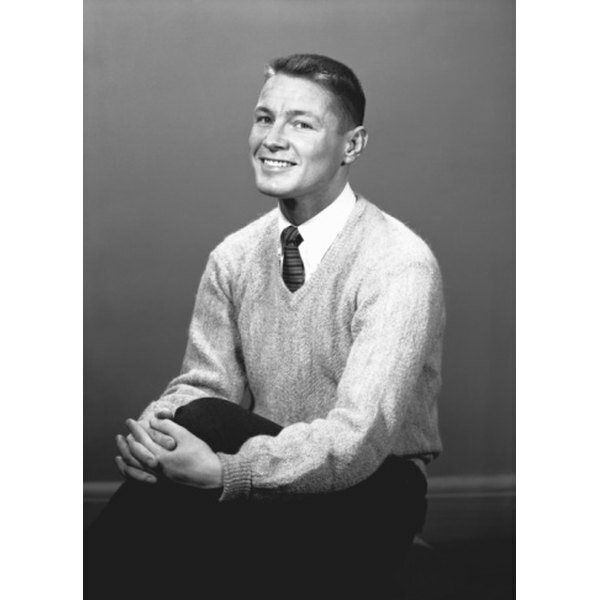 The 1950s look for men, reflecting the 1950s post-war attitude, typically was conservative and neat, from short hair and tailored suits to subdued colors for clothes and accessories. Most men wore suits and ties daily to work. Hats kept the head covered and the hair neat. Young men dressed more casually, but convention kept them subdued. Clip your hair very short into a flat-topped crew cut. For longer hair, adopt a pompadour hairstyle, popularized by Elvis Presley. To create a pompadour hairstyle, brush or comb your front hair up and back, away from your forehead. Mound it high in the front and keep it in place with hair cream. Wear a white crew-necked t-shirt under a button-down long-sleeved dress shirt. Add gemstone cuff links for dress-up occasions. Suit up in a gray, brown or black suit, with narrow lapels or a double-breasted design. Suit pants and trousers from the 1950s typically were wide and baggy, with turned-up cuffs. Wear natural fabrics such as silk and cotton for shirts, and cotton and wool for suits and trousers. Synthetic fabrics were not introduced until the later part of the decade. Dress in casual wear such as plaid sports shirts and Hawaiian shirts. Tuck your shirt-tails in at all times. 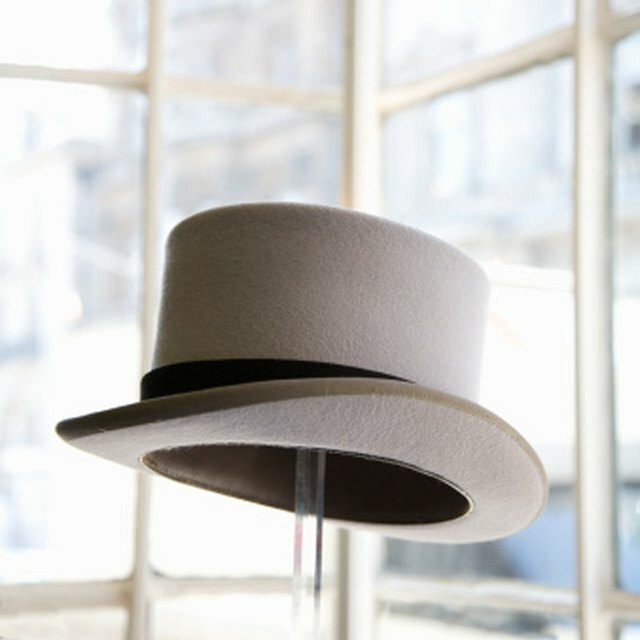 Top off your 1950s look with a broad-rimmed Fedora hat for work and formal social outings. Don a lightweight straw Panama hat for casual occasions. Slip on sturdy wing-tip shoes or penny loafers atop plain white, black or brown socks. Tuck a penny into your loafer apron.